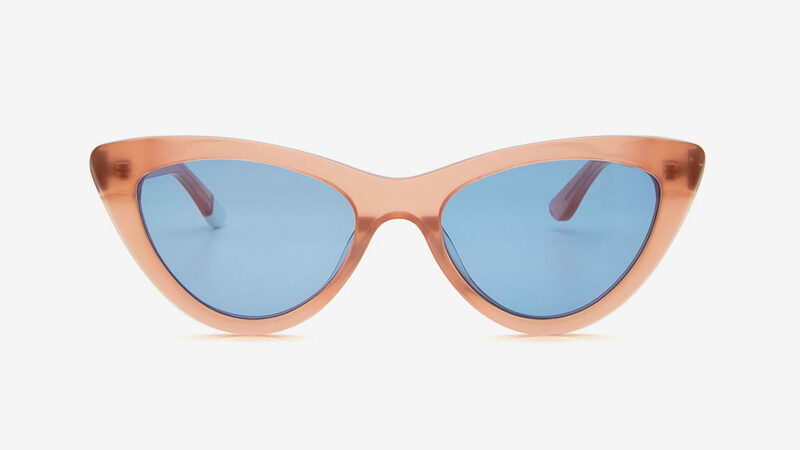 This narrow cat-eye provides a fresh twist on a classic sunglasses design, think modern take on vintage style. 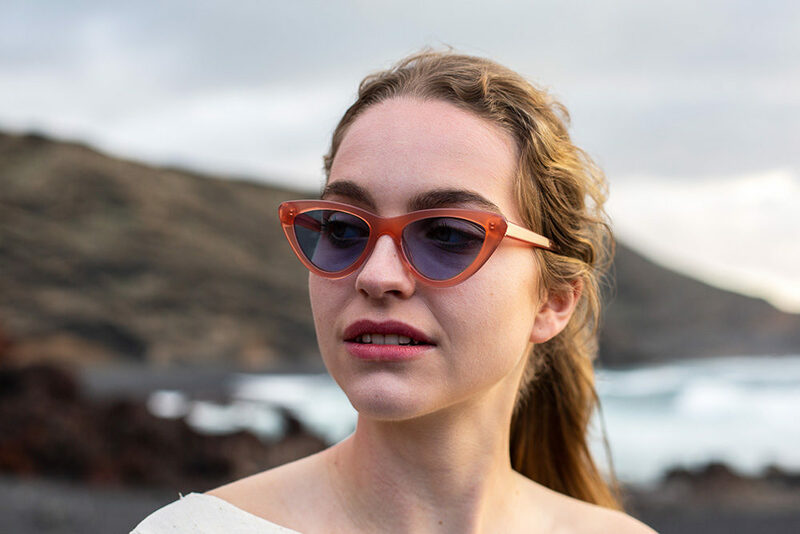 The ‘suits everyone’ frame comes in a clear coral crystal acetate with a pale blue lens. If you already own a pair then they may well have similar numbers below on the inside of the arm which can help anticipate your fit. A jawline that tapers to a defined chin? Check. Welcome to the heart-shaped face. Your goal here is to minimise the width of your forehead and broaden the appearance of the chin; which means you should go for sunnies that are wider on your forehead or have prominent end points. A heart-shaped face will positively purr over a pair of cat eye frames that will bring you wonderful symmetry. However, don’t feel your life is to only ever be full of ‘cats’ (unless you do actually live in a home full of cats), and for the male species too, perhaps a sigh of relief. 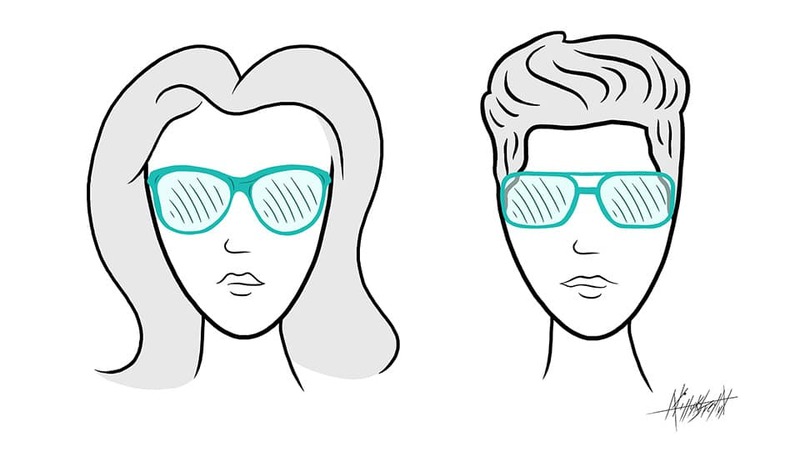 Your face shape is actually rather versatile and will work equally as well with round and oval shapes and semi-rimless styles that widen your selection box to the classics such as the Aviator and Clubmaster. Not to be overlooked, your hair should certainly be ‘ruled in’ to your decision-making process. 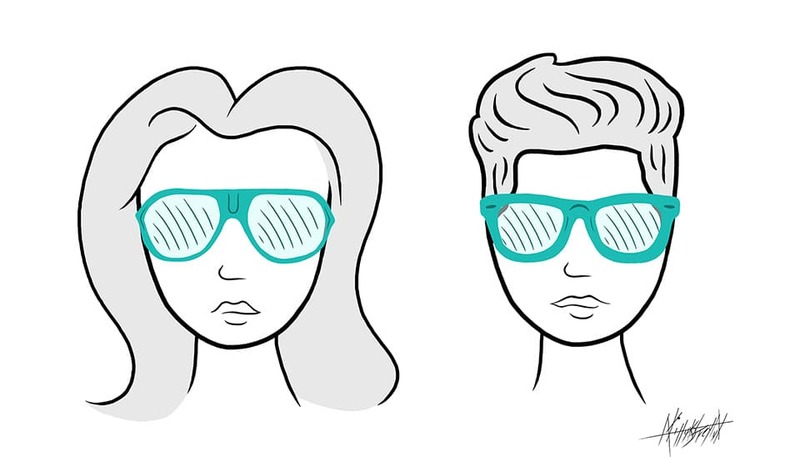 For example, long wavy hair will already be helping to soften your features which may well suggest the need for a more angular frame, whilst on the flip-side short hairstyles will tend to lead you in the direction of sunnies that soften and therefore counterbalance your more defined features. If you’re after a cat eye, then you might find our Amara and Maha styles provide your ideal solution. Otherwise our Aviator styles such as Rudo or Udo and our classic Clubmaster, Dayo, could be the play for you. A powerful forehead and a prominent jawline characterize your distinctive look, making you the focus of everyone’s attention. You can go stronger still by sticking a pair of square frames such a Wayfarer style on you face – be our guest, but we’re all about trying to bring a better balance. You can soften a strong face shape by choosing frames with curved or rounded corners – just make sure they’re the right proportion. The larger your face then it goes that the larger the frames should be. Ideally you want the frame to extend beyond the widest part of your face thereby giving you an overall rounder silhouette. 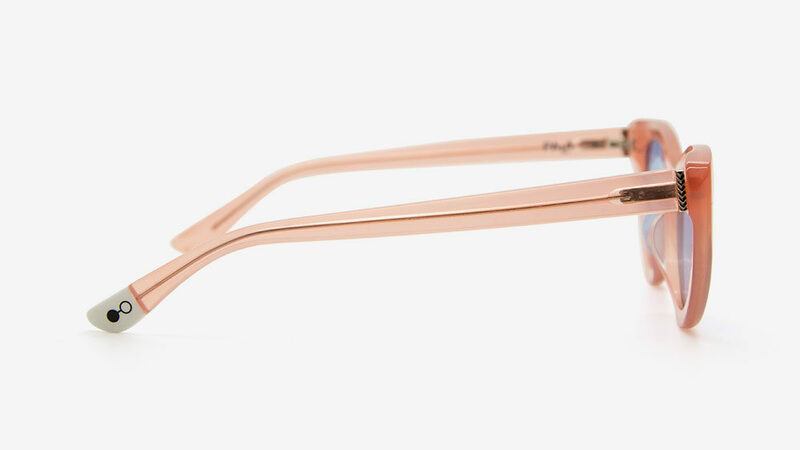 Your ‘frame friends’ are shapes that are round, oval, cat eye butterfly and semi-rimless. These will draw focus to your eyes and stylishly balance your strong jawline. You’ve got some decent choice here… and so have Pala. If you want round then you can have the run of the sweet shop with our Darya, Asha and Zola styles. Our Idir, Asha and Maha frames have that slightly more oversize appeal to sit wider on the face and our Dayo provides an all-round ‘classic’ style solution with its semi-rimless appeal. 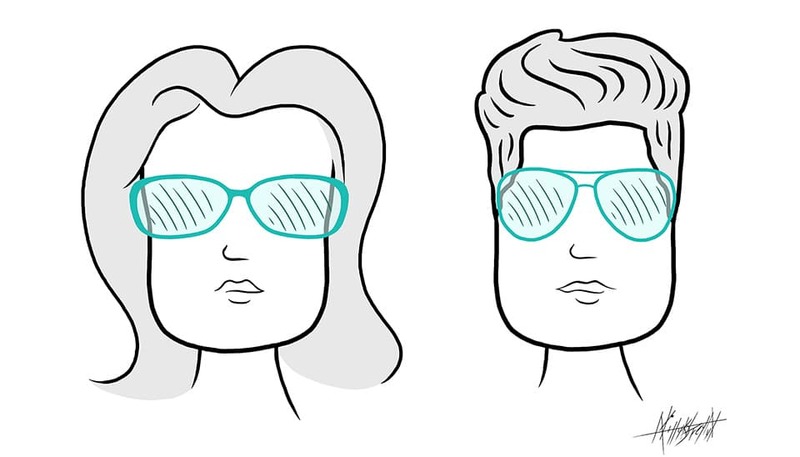 If you’re one of the lucky ones to be genetically blessed with an oval-shaped face, we’ve got good news: THE WORLD OF SUNGLASSES IS YOUR OYSTER! 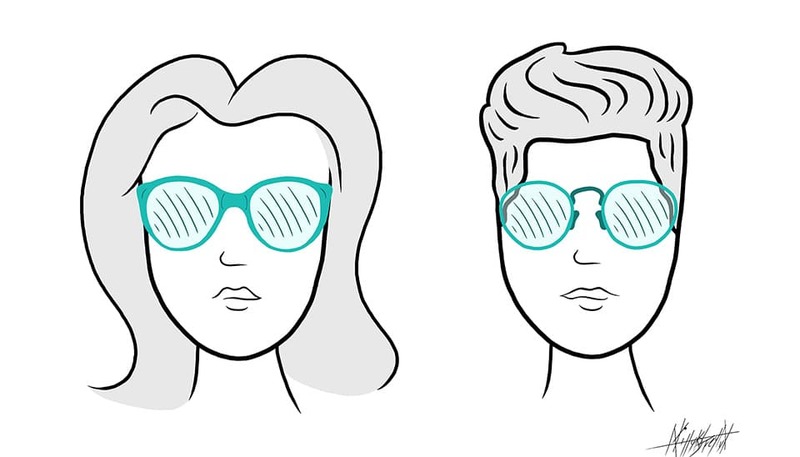 Any frame is going to look good on you – because basically your symmetrical bone structure is what people are generally striving to emulate when they’re choosing their sunnies. However, we said we would give you advice, not just tell you how beautiful you are – and we have a few suggestions to ensure that the frames on your face feel as natural as a cup of tea and a biscuit. We would suggest a frame that is slightly more on the wide side. Rectangle shaped frames often look fantastic on oval shaped faces, the horizontal style complementing the vertical nature of an oval face. Conversely, a narrow frame can draw attention to a narrow eye line, so perhaps something to steer away from. However, let’s be honest, we’re being pretty picky here. Pretty much anything goes style-wise, so perhaps get playful with the lenses and colours if you want to stand out from the crowds. To be honest, we’ll throw the you the keys to the shop and let you browse at will – there aren’t any styles that in truth wouldn’t work (although we’ve yet to see any male customers of our cat eye styles… yet!) So, think about your preferences for colour and style to suit your personality and see if we have any flavours that suit your taste. Characterized by softly contoured, gentle features, round faces have a width and height that are pretty much the same. So, what you need is edge… literally. That round face of yours needs to be broken up with some tasty angles so anything that is square, rectangular, hexagonal, octagonal (you get the idea), is going to be good for you. They will accentuate your features to give you a longer, more elegant look. Conversely round frames, small or even oversize frames will work to make you face look rounder. You might like that, who are we to say otherwise? However, our recommendation would be angles all the way. We’ve got several angled shapes for you face to party with. It just comes down to preferences after that. If you style is to blend in with the crowd, then our Neo and Thabo shapes are the pairs to reach for. If you want to make a bit more of a statement then steer yourself over in the direction of our Nuru, Kibwe and Farai styles.